The internet has provided a myriad of opportunities to different people. Its impact is even felt the education sector. Nowadays, students can access learning through the internet. You could say the classroom has been brought right at the doorstep of every student. Distance learning is possible, and assignment writing has never been easier than it is now. All this has happened because of the internet. On the other hand, many people have to venture into the online freelance writing business. This is because there are bog importunities over there and some people are already making some good money out of it. The question some people may have on their minds right now is how to start a freelance writing business. However, there are things one is supposed to know before he can venture into the online freelance writing business. For one, if you enter the business with the mentality that you are going to make much cash, you will have the shock of your life. Some people who ventured into this business with such a mentality end up getting frustrated. 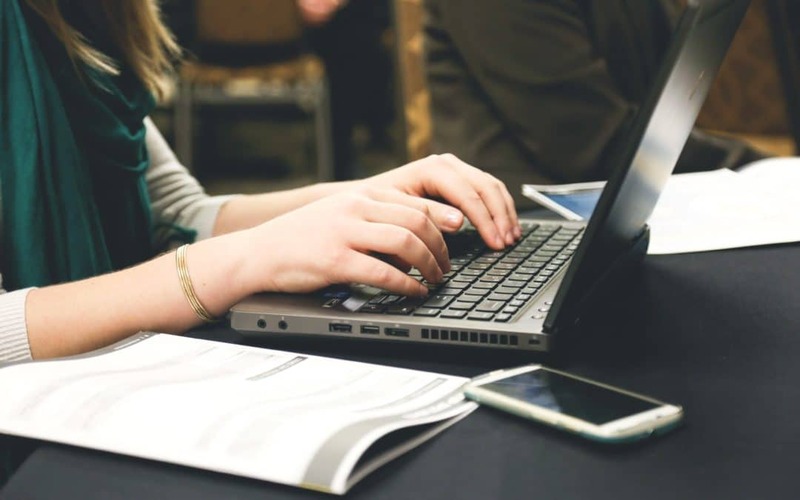 To become a good freelance writer, you need to possess good writing skills, remember that freelance writing business requires excellent writing skills. These skills are acquired over time, and as such, you have to be sure that you can work on any project. However, not everything is doom and gloom if what you want is simply starting a freelance writing business. Now if you want to join the ranks of the best only freelance writers, you need to be ready, and rightly so. If you manage to start a freelance writing business, you will get enough time to work at your convenience and attend to other things as well. If you want to quit your regular job and venture into freelance writing, it is very much possible. However, you need to get a good plan before you can submit your resignation letter. Everyone has dreams and ambitions especially one that pertains to attaining that financial freedom and spending a good time with the ones you love. These are part of the dreams you have to think about when starting a freelance writing business. Since the freelance writing business gives you a chance to work from home, you will have your up and down moments, losses and wins but if you still harbor your dreams of becoming the best freelance writer, then writing is the lifestyle that you deserve. One important aspect you need to understand about freelance writing business is that you need to love writing. This should be something that you have always been interested in because there are many things that could wrong especially if you approach it without too much interest. Some of the reasons why students opttohave freelance writers handle their assignments are the lack of interesting writing. Donot think that because you are looking for a job online or you are in the processof starting afreelance writing business that everything will be a smooth sail.Ensure that you love and enjoy writing. This will help you with the transition and some level of guaranteed income as you navigate the freelance writing business start-up. Time-bound, implying you have to know the time you will take to achieve this goal. When it comes to STRETCH goals, it implies that you have to be inspired to think big. You have to stay focused on the bigger picture for instance; you can have a certain amount of money you want to make within a month. This goal has no timeframe, but you can induce it as a way to motivate yourself into taking an extra action. Even though you have done enough reading, you might find it difficult to make the right decision because there is conflicting advice online. Sometimes you will feel like starting a freelance writing business is the worst idea you have. The truth remains that there will always be conflicting advice on the internet. There are those that believe you should select a nice before you can think of how to start a freelance writing business. The best thing is to go with whatever hat works for you. If you are a newbie, you can start with everything and maybe later, narrow down to what you feel is your strong area. Here, you have to decide on your positioning,choose a rate and build a writer’s website and keep updating your scale media channels. Before you can fully settle on freelance writing business, you need to know if it is a viable option. If you are the kind that wants to venture through a niche, find out if it is profitable. It is crucial to start conducting marketing research before you can start a freelance writing business. The question here would be where one look does. You need first to see the type of jobs that are available. You can see what onlinebusinesses are seeking for content jobs. Joh boards are no sole sources of freelancewriting gigs. You can use cold pitching, warmpitching, as well as networking. With warm pitching, you connect with brands and businesses via social media. Networking allows you to haveonline connections with fellow writer’s friends and family or other businesses and you may land work this way. For those of you that lack a Facebook account and want to venture into freelance writing business, get one immediately. Many Facebook groups can help you to assess the market and maybe even hang out with potential clients. You can also check Facebook groups that attract entrepreneurs. The juicy part about starting a freelance writing business is the money talk. Now it is a good time to start paying attention to the rates that you are going to charge for different online jobs. Your rate is subject to change and can jump up, stay on the same level or even go lower depending on some situations. As a freelance writer, you can charge per project, and this depends on how quickly you can research and write excellent content. Many people are working as part-time freelance writers whereas they are dealing with their regular jobs the best thing about a side hustle is that even if it fails, you a try other strategies while still working on your regular job. This will help you to see if starting a freelance writing business is good for you or not. It will help to see if you truly work comfortably as a full-time freelance writer. When it comes to freelance writing business, you need to find the time, which can be hard especially if you have been working all day. However, if you want to change all that, you need to find time for some side hustle. Whether you will write in the wee house of the morning or late at night, you need to find the best time to start your freelance writing business. Once you figure out the time, stick to it. Contact page – this allows you to list social media links, email, phone number, SkypeID and even have contact from this page. If you want to make a living through your freelance writing business, then you need a website. However, it may not come in handy if you are only doing it to earna quick buck. Remember that since you have stated your freelance writing business, you have to build your career progressively. To land new gigs as a freelance writer, you need some sort of recommendation,especially from your client. As such, once you write an excellent project for them, why not ask them to give a testimonial? Ask them to give reviews of your writing with the intention of putting them on your website. If it is okay with them, you can use their names affiliations and at times, their photo. This gives credibility to your freelance writing business. It also enhances your chances of landing another client. If you have to use such a testimonial, ensure you have full consent of the client. If you want your freelance writing business to flourish, you need to originate ideas because it is the currency of online freelance writing business. If you can do this more often, you stand a better chance of landing better gigs. This works well especially if you have identified your niche and you can provide ideas that relate directly to your area. With those steps and insights, you now know how to start a freelance writing business. Take the initiative now if it works for you. Make your Freelancing Writing Work written by us!